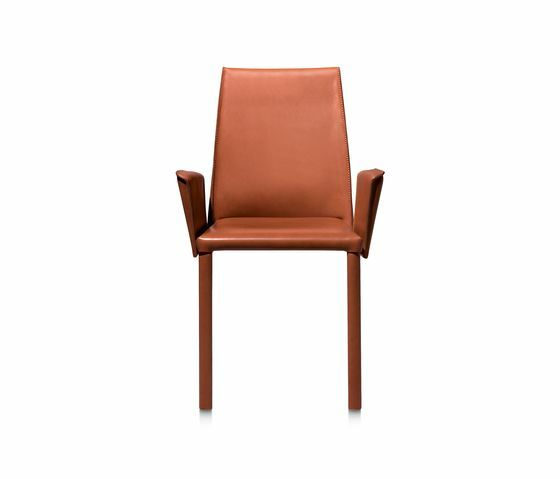 Collection of fully leather upholstered chairs with padding. Stackable upon request. Steel frame.